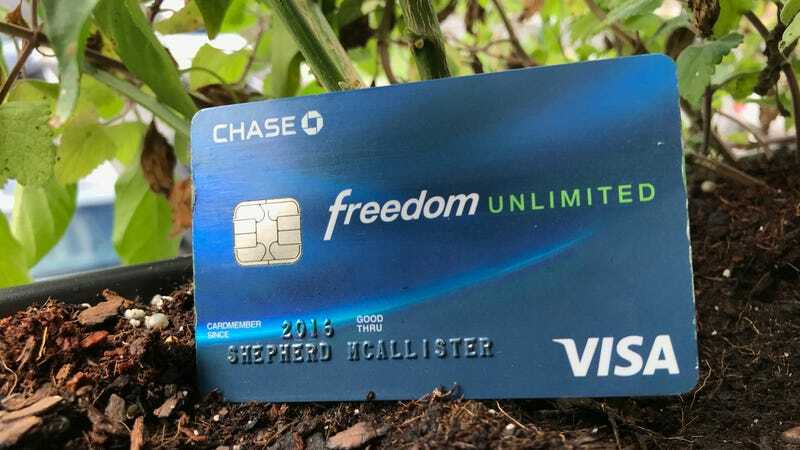 When Chase’s flagship travel cards and the rotating bonuses of Chase’s Freedom don’t apply, the Freedom Unlimited is your best bet to keep stacking up those points, with no accompanying fee. The Chase Freedom Unlimited is part of Chase’s Ultimate Rewards program. Ultimate Rewards is an ecosystem of several credit cards that when taken together, grant industry-best returns in most shopping categories. The Freedom Unlimited doesn’t bring the same kind of massive signup bonuses to the table that the Reserve and Preferred do, but its bonus is also much more attainable- kicking you back $150 after you spend $500 in the first three months, plus another $25 when an authorized user makes a purchase in that same period. Plus, you’ll earn 1.5% cash back on every single purchase, with no annual or quarterly limits on what you can earn. As we’ve mentioned before, there are multiple cards out there that offer 2% back on all purchases, but that’s only cash back. Once you pair the Freedom Unlimited with a Sapphire card, that 1.5% can be worth a whole lot more. If you have a Chase Sapphire Preferred or Sapphire Reserve, you can convert your Freedom Unlimited’s cash back into valuable Ultimate Rewards Points. That means your $150 sign-up bonus becomes 15,000 Ultimate Rewards Points, your $25 authorized user credit is good for 2,500, and every dollar you spend is worth 1.5 points. A consideration to remember is Chase’s “5/24" rule, a loosely understood set of guidelines which boil down to the fact that if you’ve opened five or more new credit cards in the past two years, Chase is more likely to deny your application. Because of this rule, you may want to prioritize getting the Preferred or Reserve for their huge signup bonuses and access to travel rewards first, before adding the no fee cards to your arsenal.